This was one of many renovations to the hotel that took place in its final years. As business from secular guests waned, the hotel had little choice but to cater to Orthodox Jews. 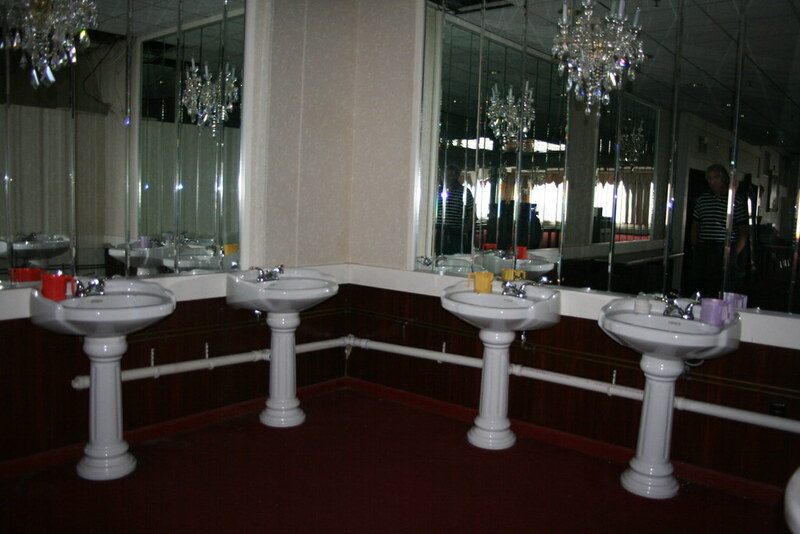 In doing so, they made many unusual design concessions, such as providing these sinks in the dining room so as to facilitate compliance with Jewish law and procedures for meal time.